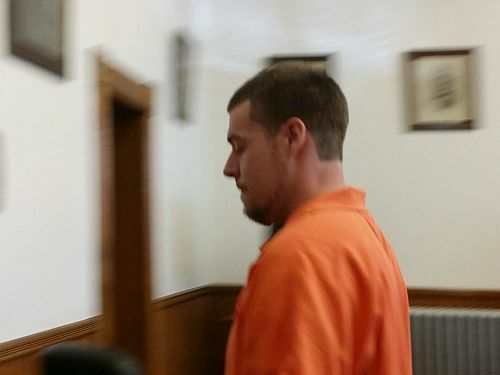 Jason Heath 29 of Mulberry St., Claremont pled guilty to multiple drug charges in Sullivan County Superior Court on Wednesday. Heath was charged in 2014 with two counts of the heroin sales in July and one count of conspiracy to sell heroin in August. Heath received two one-year sentences to be served consecutively at Sullivan County Correctional Facility and to pay a $350.00 fine with a penalty assessment of $84.00. On the conspiracy to sell heroin charge, Heath received a 2-7 year suspended state prison sentence and a fine of $500.00 which was suspended for five years. Sullivan County Attorney Marc Hathaway said although Heath’s new drug charges were not included in the global plea deal there was a penalty. While out on bail Heath was arrested in July of 2015 on 2 counts of heroin sales and 1 count of heroin possession with intent to sell. No plea was entered on Heath’s 2015 charges. Sullivan County’s High Sheriff, John P. Simonds returned from graduating from the 108th session of the National Sheriffs’ Institute (NSI) in Aurora, Colorado. The Sheriff said the weeklong school was about leadership. Simonds said there were 26 Sheriffs attending the program and it was a chance to network and learn of the different types of challenges that Sheriffs in different part of the country face. The Sheriff said one of challenges he faces is the drug problem in the county. Simonds is the first Sheriff fro Sullivan County to graduate from the National Sheriffs’ Institute. Sunapee Police Department announced that In an effort to maintain safe roads in Sunapee, the Sunapee Police Department and the New Hampshire State Police will be conducting a SOBRIETY CHECKPOINT over the coming week in Sunapee. The Sunapee Police Department has conducted sobriety checkpoints in the past, the purpose of which is to detect and apprehend the impaired driver. The Sullivan County Superior Court has approved this program. Christa Osgood, age 44 of Claremont was pronounced dead at the scene and Kenneth Lavigne 45 remains in stable condition at DHMC.